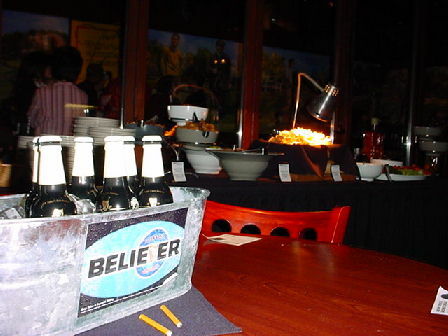 Owen Ogletree and Don Beistle were fortunate enough to have the chance to attend one of the "believer pep rallies" that Guinness is promoting and hosting all across the country. 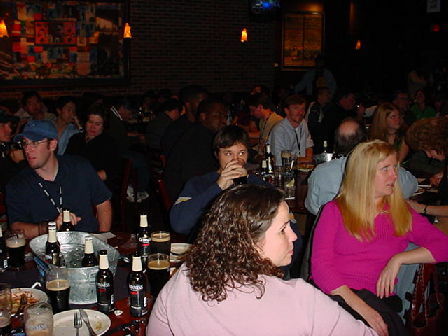 The two hour event was free to invited guests and held at the ESPN Zone in Buckhead and featured an appetizer buffet, free draft and bottled Guinness, and promotional information from the hosts. It was an extremely enjoyable evening, and it is encouraging to see that a company like Guinness is going to all this trouble and expense to promote their beverage as a complex beer that is full of flavor and history. The point was also made that Guinness is low in calories and carbs! Go to the Guinness website and sign up for their informative e-mailings -- maybe you will be invited to one of their future events. 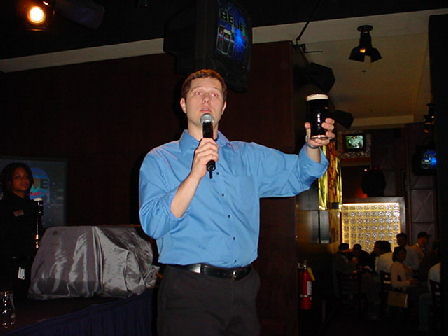 Dean Crownover was the main host and Guinness evangelist for the evening. Guinness in the draft-flow bottles in front of the appetizer buffet. One of the lovely hosts for the evening. 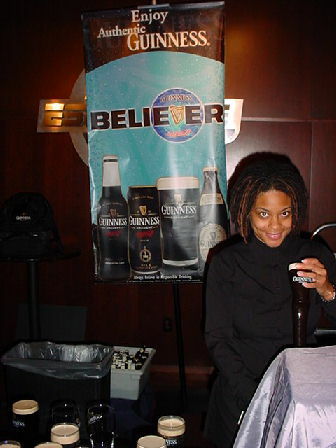 Draft Guinness was poured continuously throughout the event. The crowd learned much about the black elixir that night. 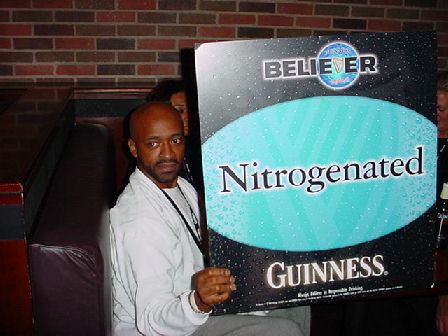 with nitrogen -- not carbon dioxide.